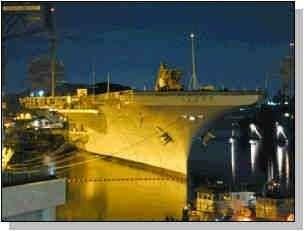 PT&P Supplies USS Kitty Hawk With Spring Hangers | Piping Technology & Products, Inc. 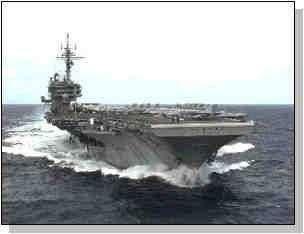 The USS Kitty Hawk displaces 80,800 tons fully-loaded, is 1,046 feet long, and has a beam of 130 feet. It can reach speeds of 30-plus knots and has approximately 85 aircraft. It is powered by eight boilers, four geared steam turbines, and four shafts of 280,000 shaft horsepower. The Kitty Hawk has a compliment of 2,932 personnel and approximately 1,782 in embarked air crew personnel. Piping Technology & Products, Inc. supplied the Navy and its magnificent ship with a large quantity of spring hangers to support piping in the boiler room.